After two or three such sessions, Aarntzen sold his house and moved to Halifax to work on the band full time. 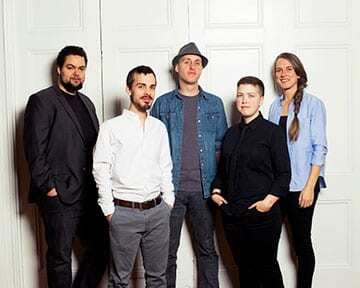 2015 saw them finish in the national top ten in CBC’s Searchlight competition, an annual hunt for the best unsigned talent in Canada, which led to relationships with Halifax-based independent record label GroundSwell Music and with producer Jon Landry. Recorded over a two-week period in August 2015, In The Battle Years represents Hillsburn’s formal introduction as a band.